“Disability need not be an obstacle to success”. 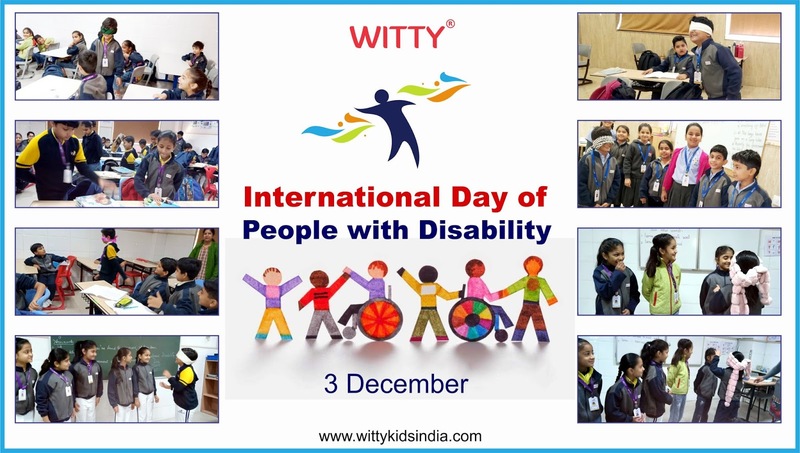 Witty International School, Udaipur aims at fostering the humane side of character building of students and keeping this thought in mind International Disability Day was observed on 3rd December wherein the Wittians were given an insight into the world of disabled people who in spite of various constraints have trudged ahead with strong determination and perseverance. 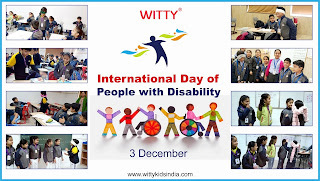 Wittians were motivated into deeper understanding of the predicament faced by the disabled who haven’t given up on the challenges thrown at them.